Roma star Kostas Manolas has reportedly decided not to leave the Italian giants this January. Italian news outlet CalcioMercato is claiming the highly sought after Greek defender is staying with the Serie A club. If this latest report is to be believed, then it’s a massive blow to Manchester United, as well as Everton, Arsenal and Chelsea. His agent recently claimed that Roma rejected a €40 million bid for his client from Arsenal in the summer. The Red Devils have been strongly linked with a January move for the centre-back in recent weeks, with reports speculating that United are preparing a £47.6m offer. Jose Mourinho is keen to strengthen his defensive options, but has so far struggled to bring in any reinforcement. His potential move for Benfica’s Victor Lindelof didn’t work out despite several reports over the past few weeks claiming the deal is almost done. And another target, Jose Fonte, decided to leave Southampton for West Ham earlier in the week. Manolas is valued at around £40m, and his contract at Roma runs until June 2019. 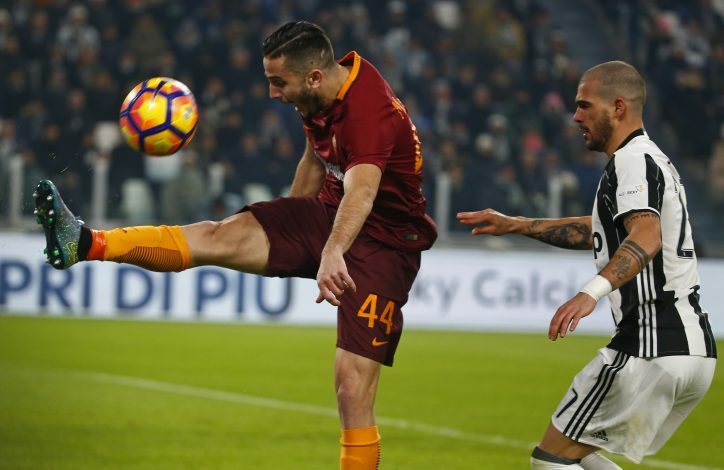 But United have a chance to sign the Greece international in the summer, although Mediaset Premium claim the Premier League giants risk being beaten to Manolas’ signature by Inter, who held talks with Roma and could be willing to make a £34.5m summer bid. Inter have recently been taken over by Chinese giants Suning Group, and Manolas’ arrival is expected to be the first of many expensive signings. Manolas joined Roma from Olympiakos in 2014 for €13m, and since then, has made over 100 appearances for the Serie A heavyweights, for whom he has missed just three games this term because of injury.